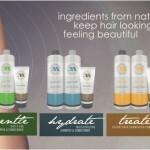 Hair Treatment: M&M International Has Reinvented It! Our hair is our crowning glory. And since it’s all we have to cover our head for protection we should give it proper hair treatment and care. Our hair has several functions and they’re all important. Aside from giving us protection it can also make us desirable when given a good grooming. M&M International are leaders in hair care using Brazilian Keratin. Our Keratin products are considered the top leading brands in the market today. There’s no doubt about how our keratin products are able to deliver the best hair treatment results and our thousands of loyal customers will readily attest to this. Our highly innovative and effective hair treatment products are distinctly superior compared to other keratin hair treatment formulas. That’s the basic truth without question. The success of hair treatment may also come from following long held traditions and practices. M&M International endorses the daily combing and brushing of hair properly and regularly as part of a daily hair treatment regimen. We discovered that constantly stroking hair will make it stronger and stimulates the production of natural keratin protein found in it. But there’s more to hair treatment than brushing and combing your hair. When more advanced hair treatment practices are required, M&M International has the right keratin hair treatment products to keep your hair in top condition. Frizz y hair was popular before, but that was just a passing fad. Ladies all over the world don’t want it anymore. It’s pesky, crazy, chaotic, and wild. And if that’s not enough, it’s bulky too. There was a time when you had to spend half of the entire morning just take control of your hair, applying a lot of hair gel and cooking it to no avail, and you repeated the same procedure day after day without any assurance that your hair would remain in place when the wind blew your way. But those days are no more thanks to M&M International and its hair treatment products. Our revolutionary approach of using Brazilian keratin products paved the way to a much improved method of hair treatment. Hair has become more manageable, shiny, frizz frozen and terrific in all aspects. And this is without a sweat. With less than an hour your hair will be whatever you want it to be, continuously holding from 3 to 5 months. And if that’s not enough, your hair undergoes non-stop repair. While other hair treatment procedures are injurious to the hair, M&M International’s keratin treatment procedure keeps hair in a high state of healthiness. Is keratin treatment considered a natural hair treatment? In more ways than one, we at M&M International agree it is. This is of course our personal opinion. Except for the keratin locking procedure, everything else is natural. Most of our hair treatment product ingredients are from organic sources. If you want to know about our hair treatment products, please visit out M&M International website.